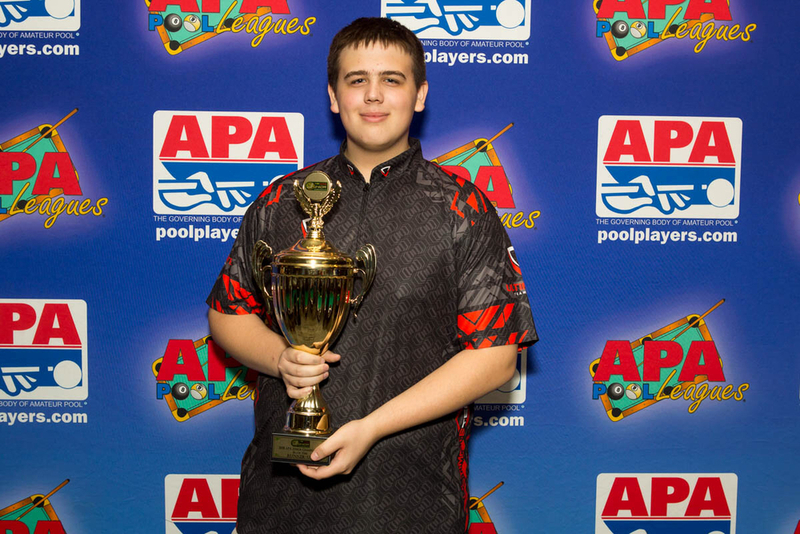 Travis won a spot in the APA Jr. 9 Ball National Championships. 380 of the best 18 and under players were invited to St. Louis, MO, for a 4 day tournament. Last year Travis attended as a last minute added player and took 46th. This year, Travis advanced to the highest tier of skill, and took 2nd place. He didn’t lose a single match until the finals when he ran up against a kid from San Diego who has been playing for quite a while. His match was live streamed, and Jeanette Lee (reigning women’s champion) even served as a commentator for the match. He is now the 2nd best player in the junior division in the United States. Not so bad for a kid who has only been playing for 2 years. He continues to compete weekly in the adult leagues, and also in both junior and adult level tournaments. He is working on getting another bid to next year’s championship. Travis was also recognized for his academic accomplishments as well. Travis is an amazing example of a well rounded Garfield student!